Special Containment Procedures: SCP-1437 is to be contained behind a perimeter of two (2) meter tall electrical fencing, which is to be patrolled by groups of three (3) security officers at all times. Any trespassers attempting to access SCP-1437 are to be brought into custody, interrogated, and if found to be ignorant of SCP-1437's nature, dosed with a Class-A amnestic and released. Any items or organisms which emerge from SCP-1437 are to be immediately tested for hazards, and if found safe, examined further. Experimentation involving SCP-1437 is strictly forbidden. 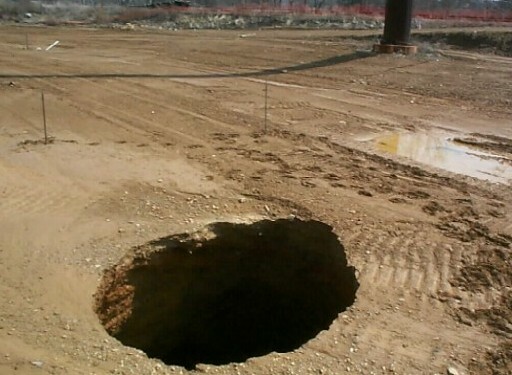 Description: SCP-1437 is an apparently endless hole measuring 3m x 3m, located in the ██████ Desert. Attempts to dig into SCP-1437 from the side result in the diggers encountering solid rock where logic would dictate SCP-1437 would be. SCP-1437 is thus only accessible from its entrance above ground. During a period lasting from 200█-20██, numerous individuals, most of whom wore D-class uniforms, emerged from SCP-1437; all of them were dead on arrival.1 All emerging individuals carried documents which appear to be their respective universes' documentation on SCP-1437. It is currently believed that these D-class personnel and previously mentioned documentation were sent as a gesture of desired cooperation. Individual carrying documentation appeared to be in adequate physical condition. Individual was wearing a pressure suit with an attached oxygen supply. Safety Procedures: Unauthorized citizens are to be kept at a safe distance from SCP-1437 at all times. Any authorized tours of the area are to be accompanied by two (2) security officers for their own protection. Taking of photographs is to be permitted. Any citizens attempting to go past safety fencing are to be arrested and handed over to local law enforcement. 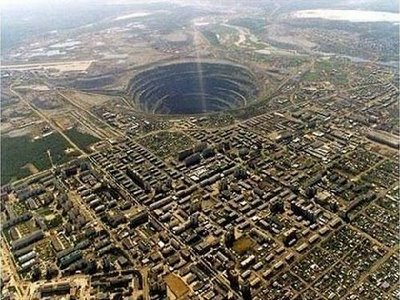 Description: SCP-1437 is an apparently endless hole measuring 10m x 10m, located in the town of Promise. Attempts to dig into SCP-1437 from the side result in the diggers encountering solid rock where logic would dictate SCP-1437 would be. SCP-1437 is thus only accessible from its entrance above ground. A sheet of paper reading "THANK YOU PLEASE SEND MORE GIFTS." During a period lasting from 2009-2012, numerous individuals, most of whom wore bright orange jumpsuits, emerged from SCP-1437, all of whom were dead on arrival. All emerging individuals carried documents which appear to be their respective universes' documentation on SCP-1437. It is currently believed that these individuals and the documentation they carried were sent as a gesture of desired cooperation. On the 15th of August 2012, a volunteer from the Foundation, Marco Perton, entered SCP-1437 wearing safety gear, taking with him a copy of this document. Individual carrying documentation was in adequate physical condition. The phrase 'PROPERTY OF SCP CORPORATION' was branded on the individual's left arm. Special Containment Procedures: SCP-1437 is to be contained behind a perimeter of two (2) meter tall electrical fencing, which is to be patrolled by groups of three (3) security officers at all times. Any trespassers attempting to access SCP-1437 are to be charged with the crime of industrial espionage. Any items or organisms which emerge from SCP-1437 are to be immediately tested for hazards, and if found safe, examined further. After examination, suitable items are to be auctioned off to interested collectors. 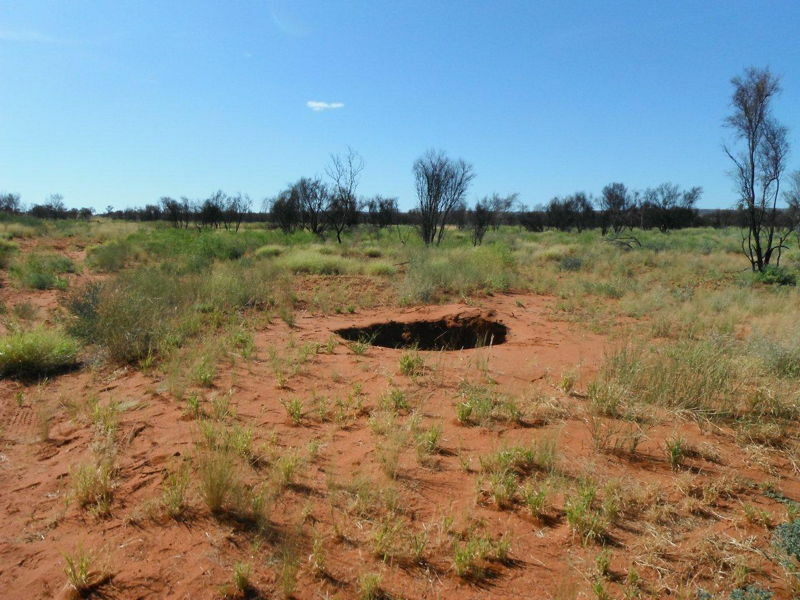 Description: SCP-1437 is an apparently endless hole measuring 1m x 1m, located in the ██████████ Outback. Attempts to dig into SCP-1437 from the side result in the diggers encountering solid rock where logic would dictate SCP-1437 would be. SCP-1437 is thus only accessible from its entrance above ground. A glass bottle of water. During a period lasting from 200█-20██, numerous individuals, most of which wore D-class uniforms, emerged from SCP-1437, all of which were dead on arrival. (The fact that it is apparently impossible to travel through SCP-1437 and survive has prevented the Corporation from utilizing SCP-1437 for commercial purposes.) All emerging individuals carried documents which appear to be their respective universes' documentation on SCP-1437. It is currently believed that these D-class personnel and previously mentioned documentation were sent as a gesture of desired cooperation. Several D-class personnel have been sent through SCP-1437 carrying copies of this document. Individual carrying documentation was wrapped in bandages and appeared to have been blinded in the recent past. Lacerations were present on the arms and legs, and the individual's tongue had been cut out. Holding Measures: High Priest ███ is to bless the holding site of SCP-1437 every two (2) years and blood sacrifices are to be dropped into SCP-1437 after each blessing. Blood sacrifices are to hold copies of these scrolls as a warning to any demons to stay away. Spirits are to be consulted after these sacrifices, and suggested changes to holding measures are to be carried out immediately. 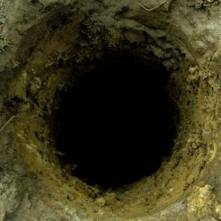 During a period lasting from 200█-20██, dead demons wearing the skins of men emerged from the pit. They were thrown back in immediately and the site was re-blessed by High Priest ███. Individual carrying documentation was a heavily emaciated pre-adolescent, who appeared to have been lobotomized in the recent past. Special Containment Procedures: SCP-1437 is to be contained behind a perimeter of two (2) meter tall electrical fencing, which is to be patrolled by groups of three (3) security officers at all times. Any trespassers attempting to access SCP-1437 are to be delivered to Our Masters Above for enhanced interrogation. Any items or organisms which emerge from SCP-1437 are to be immediately tested for hazards, and if found safe, examined further. Any useful technology which emerges from SCP-1437 is to be delivered to Our Masters Above immediately. 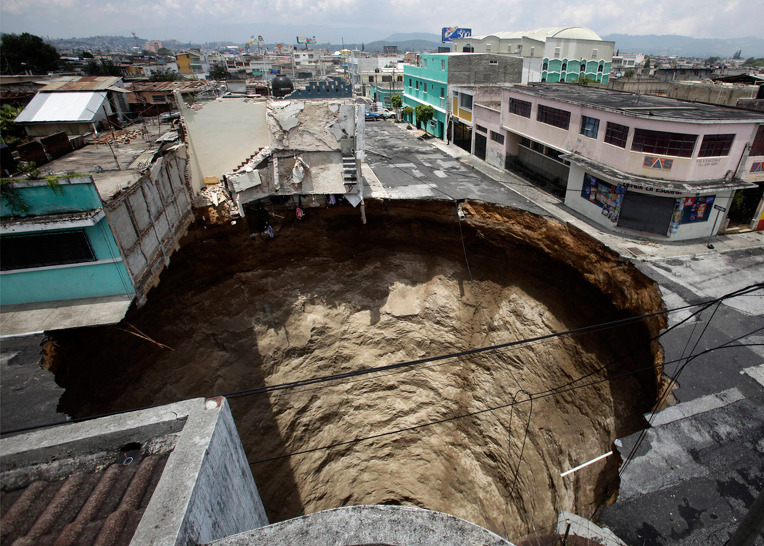 Description: SCP-1437 is an apparently endless hole measuring ███m x ███m, located in Zone 29 of the Brazilian Sector. Attempts to dig into SCP-1437 from the side result in the diggers encountering solid rock where logic would dictate SCP-1437 would be. SCP-1437 is thus only accessible from its entrance above ground. Incident 1437-1: On ██/██/██, a bottle of human-intended wine emerged from SCP-1437. Recognizing an assassination attempt upon members of Our Masters Above, the supervising Servant ordered that a Don-Burten explosive device be delivered down SCP-1437. Its orders were followed and the threat appears to have been resolved. This is a reminder of why we must be vigilant in our containment procedures. From now on, I don't want any of these 'gifts' being taken out of containment. They are a clear and present danger to Our Masters Above. - O5-1. 1. It is theorized that the nature of SCP-1437 kills living organisms at the point at which crossover between universes is achieved.